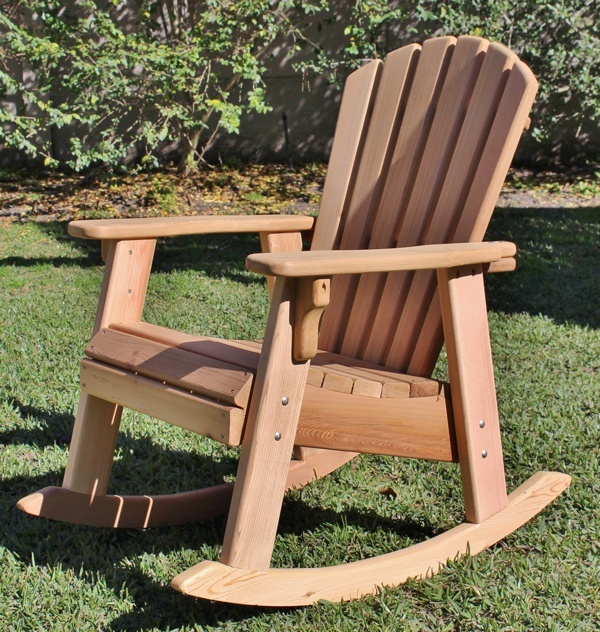 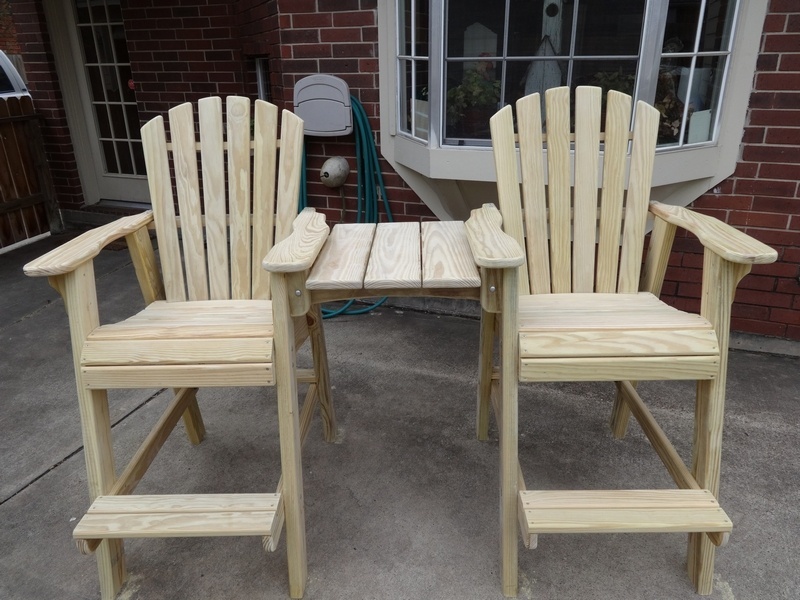 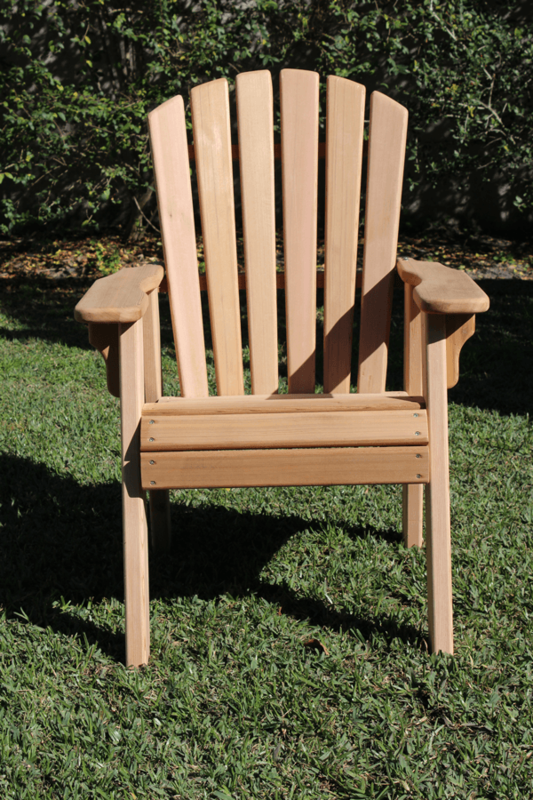 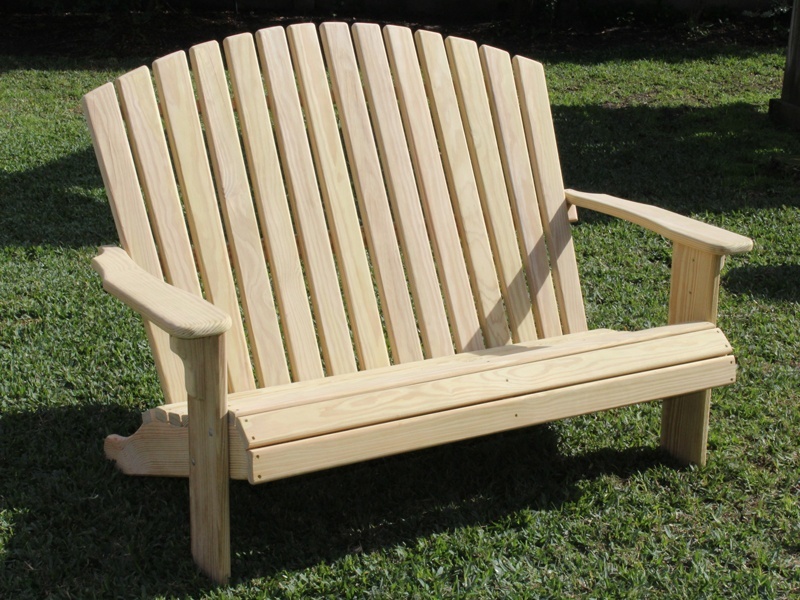 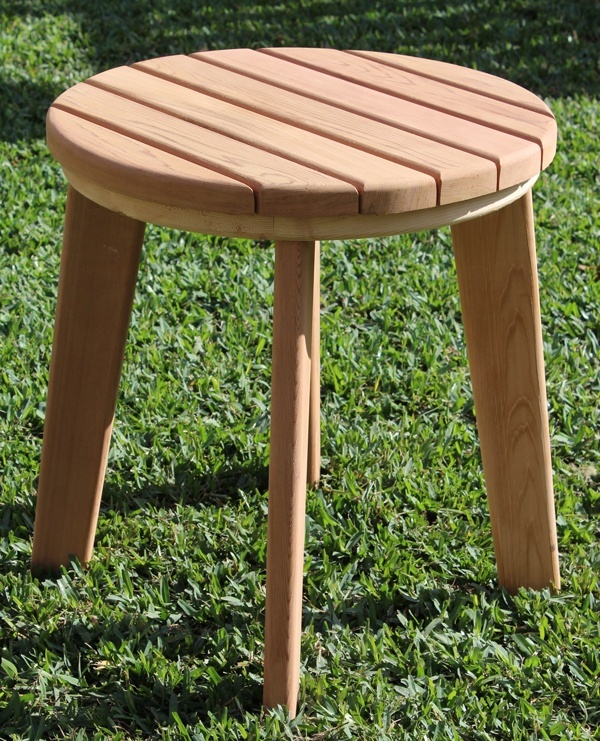 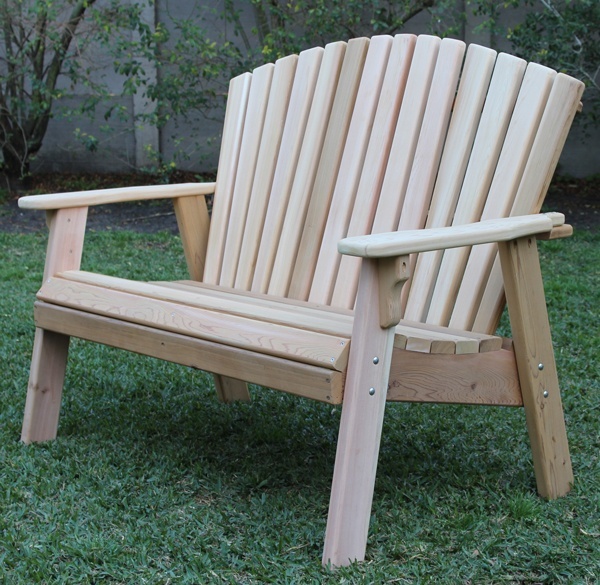 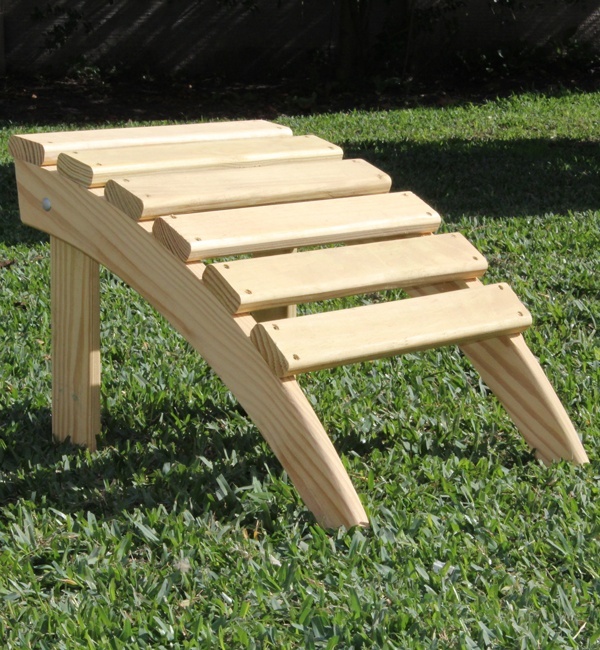 Handcrafted Adirondack Chairs made of Treated Pine, Cedar, and IPE. 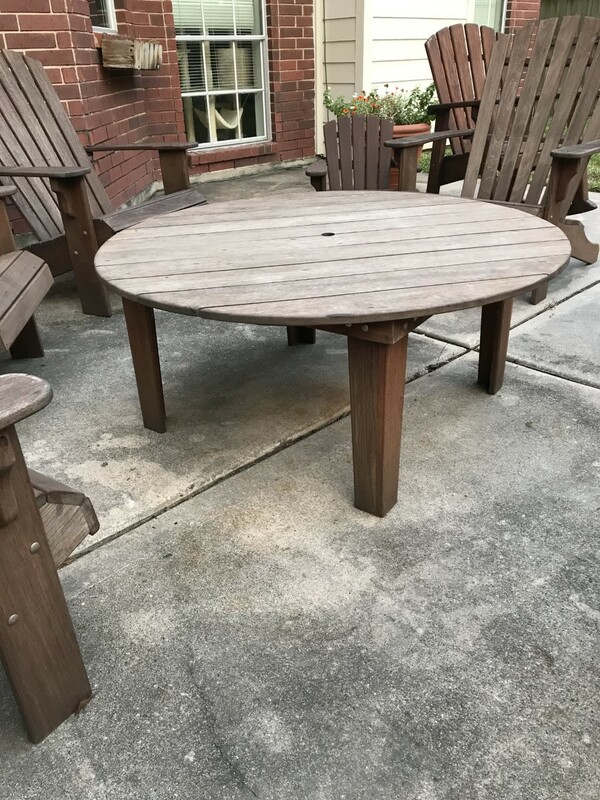 These chairs are screwed together with over 81 stainless steel screws and bolts. 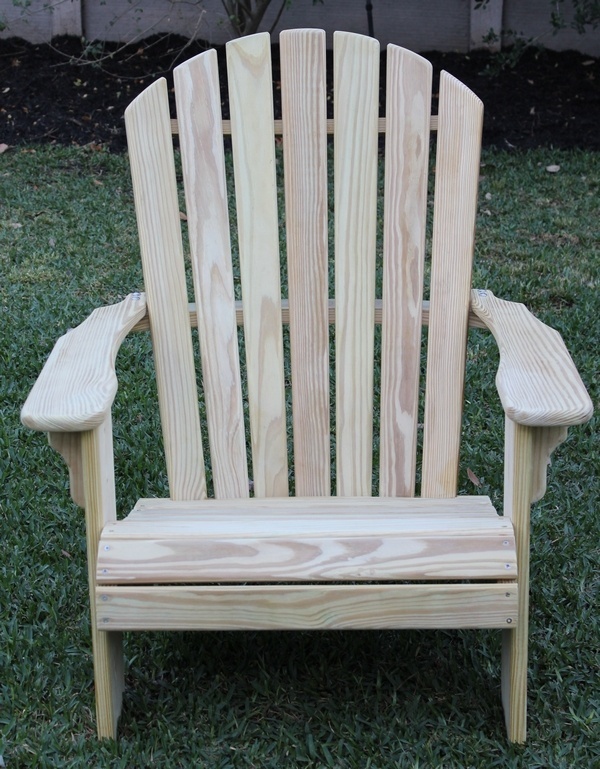 All corners are rounded and the wood is sanded and ready to finish or let gray naturally. 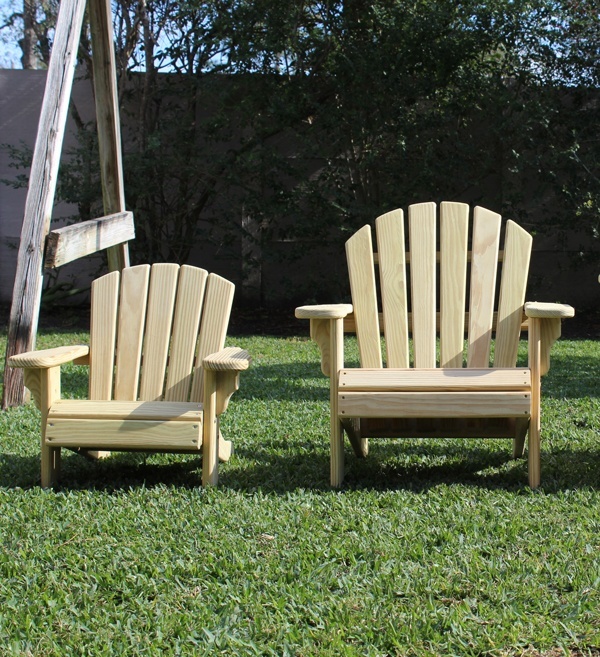 The back of the chairs are curved and the bottom is contoured with a rolled front, they are very comfortable and built to last. 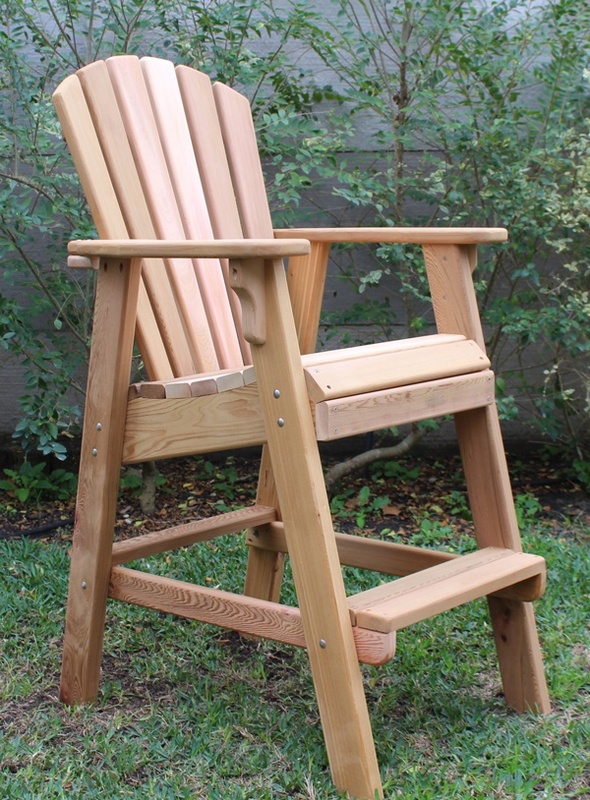 Free delivery of 4 or more chairs to the Houston area.